Pat chicken breast dry with paper towels, then season with salt and pepper. Heat olive oil in a frying pan over medium heat and fry chicken breasts for approx. 5 min. on each side, or until they are brown on both sides. Peel and finely dice onion. Add onion to the pan and fry for approx. 2 min. or until the onion softens. Add tarragon, capers, canned tomatoes, red wine vinegar, and tomato paste and stir to combine. Let simmer over medium heat for approx. 10 min. Season with salt and pepper to taste. 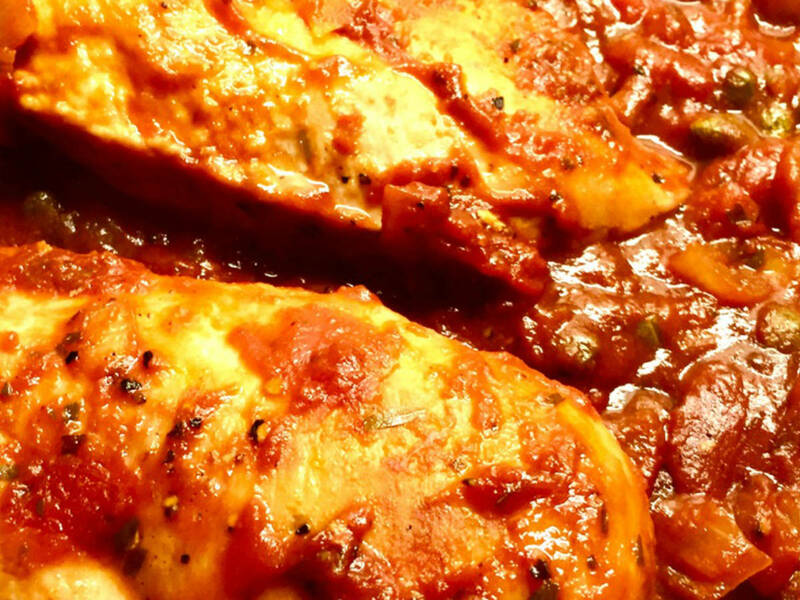 Serve chicken breasts in sauce with chopped parsley on top. Enjoy!